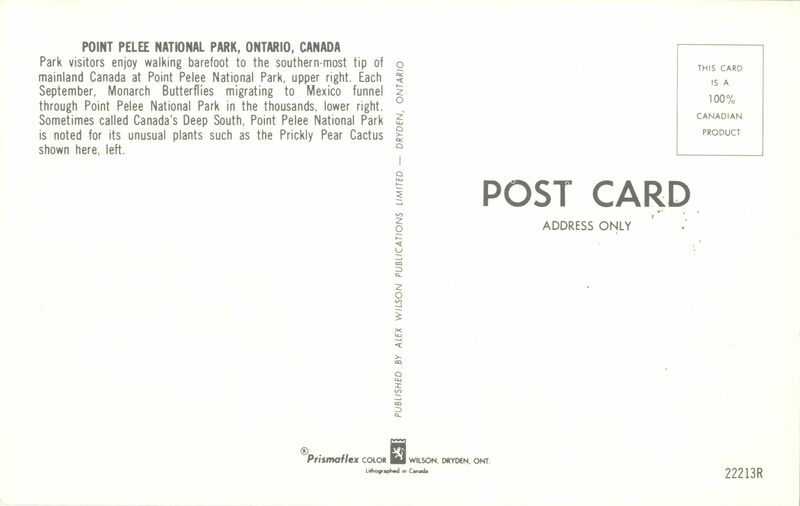 c. 1965; "Park visitors enjoy walking to the southern-most tip of mainland Canada at Point Pelee National Park, upper right. Each September, Monarch butterflies migrating to Mexico funnel through Point Pelee National Park in the thousands, lower right. 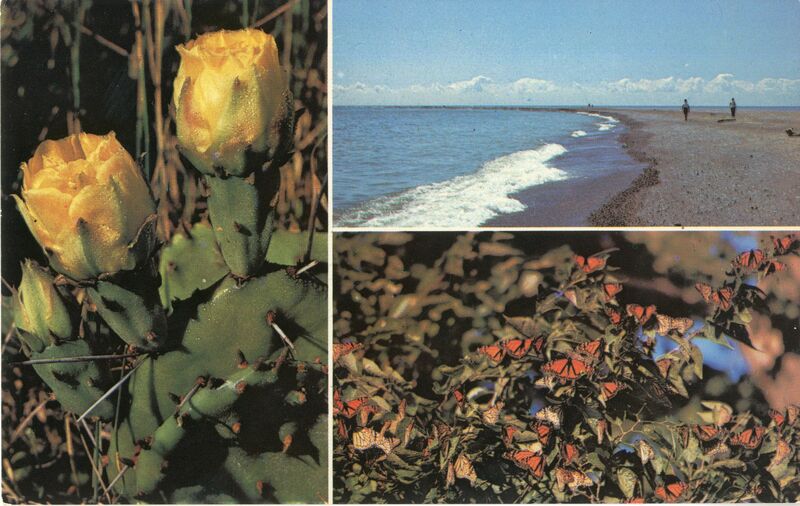 Sometimes called Canada's Deep South, Point Pelee National Park is noted for its unusual plants such as the Prickly Pear Cactus, shown here, left."